Get a glimpse into Iceland the #ITKE way, and just remember that a picture can only capture a thousand words, but experiencing Iceland firsthand is as priceless as it is indescribable. Depending on when you visit, Iceland might be drenched in a deep-red midnight sun—or lit by the flickering aurora borealis during otherwise dark winter days. Iceland is incredible all year round, but many activities are season-related. THE NORTHERN LIGHTS — If the Northern Lights are what’s drawing you to this beautiful country, March and September are the most promising times and also won’t leave you shaking in your boots. Since Summer can get up to 20 hours of daylight, it’s tough to see the bright dancing lights of the aurora. 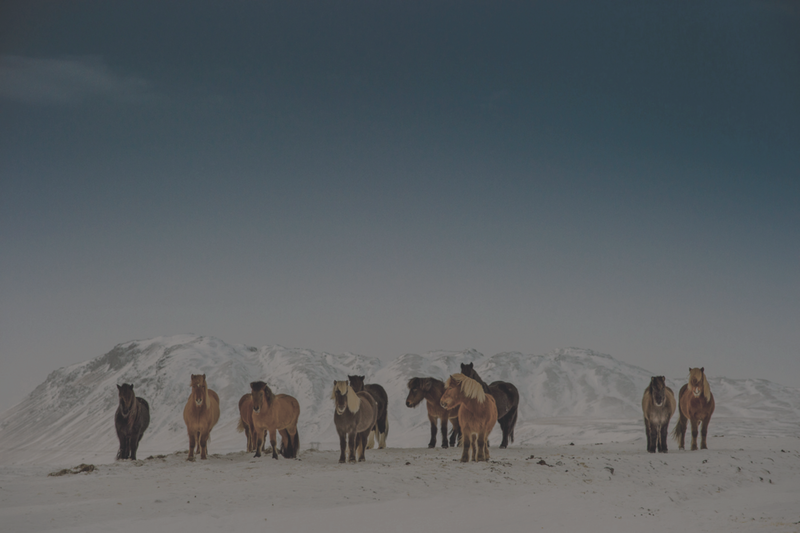 ICELANDIC HORSES — A beautiful breed of its own, the pony-sized Icelandic horses might just be the cutest reason to go Iceland. Dotting the landscape all around the country, the Icelandic horses can be seen playing with each other and galloping through the countryside. Getting up close and personal with the Icelandic horses is such an amazing experience you can’t do anywhere else. ICE CAVES — Imagine wandering inside a world of blue ice, filled with magical light. At the Langjökull Glacier, take an ice tunnel and see inside the second largest ice cap — where you’ll discover a place that transports you to another world. These spectacular blue ice caves are only found in the wintertime, with new caves formed in different locations each year. GLACIER HIKE/ICE CLIMBING — This is not your usual hike... Take an easy walk on crampons up on to the ice field where a wonderland of ice sculptures, ridges and deep crevasses awaits discovery. 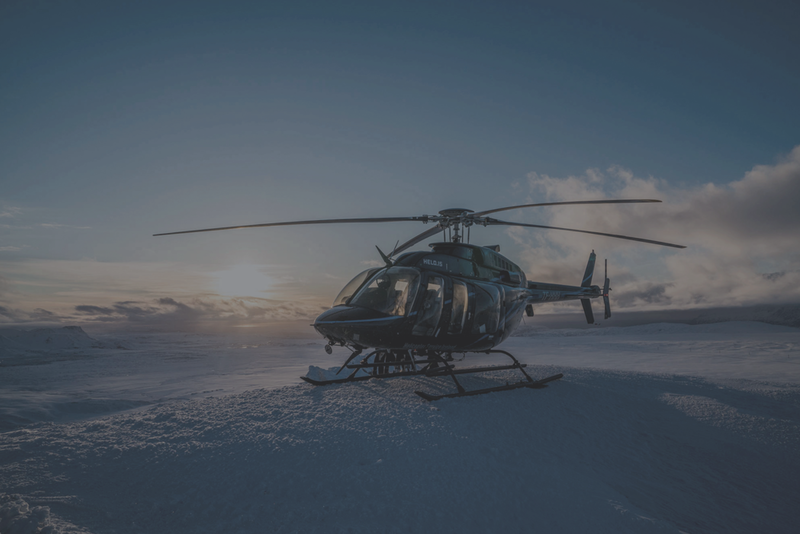 HELI-SKIING — April is the most ideal month for heli-skiing in Iceland where you’ll take in breathtaking Arctic scenery with powder up to your waist, but that’s not even the best part… all levels welcome. FESTIVAL SEASON — Come Summer, it’s festival season in Iceland. Make it to Iceland for Secret Solstice, a top music festival that welcomes an eclectic lineup each year to the naturally breathtaking country for main stage sets, glacier raves, midnight sun boat parties and secret lagoon blowouts. SCUBA DIVING — For the dive of a lifetime, the Silfra fissure is that place. It’s an experience that takes “two places at once” to a whole new, lower level. Not only can you touch two separate continents during a dive, but the frigid glacial water is remarkably blue and astoundingly pure: Visibility typically extends over 300 feet in most parts of the fissure, making it home to some of the clearest water in the world. GOLDEN CIRCLE, WATERFALLS & FJORDS — There’s really nothing quite like the landscape here, each waterfall and site more spectacular than the next. The Golden Circle is the iconic, most popular Icelandic day tour can be done no what season it is: Take a private tour to see Gullfoss, Geysir, and the National Park Thingvellir. Located on the southern coast is Skógafoss, which translates to 'The Forest Waterfall' and is one of the most beautiful waterfalls in Iceland. On the western part of Iceland in Borgarfjörður, you’ll find Hraunfossar — also known as ‘Lava Waterfalls’. In the North-Central part of Iceland, you’ll find the awe-inspiring Goðafoss waterfall, ‘The Waterfall of the Gods’. BLUE LAGOON, NATURAL BATHS & HOT SPRINGS — The Blue Lagoon is a #BucketList type of thing, but if you need to cut out — make it the Blue Lagoon and opt to stay at a hotel with a private hot spring for a much more intimate & relaxing experience. If the Blue Lagoon is a must on your list, be sure to pre-buy the VIP Blue Lagoon Experience! GLACIER HIKING — Winter, Spring, Summer, and Fall... Glaciers are your playground any time of year, so hiking them is a must. Come colder months, waterfalls freeze over this winter-wonderland with even more possibilities on natural playground. If you’re thinking of going to Iceland, plan early since there are so few luxury hotels. That said, you don’t go to Iceland for the luxury accommodations, rather you go for the endless activities and an unforgettable opportunity to explore one of the most beautiful countries you’ll ever see in your life. 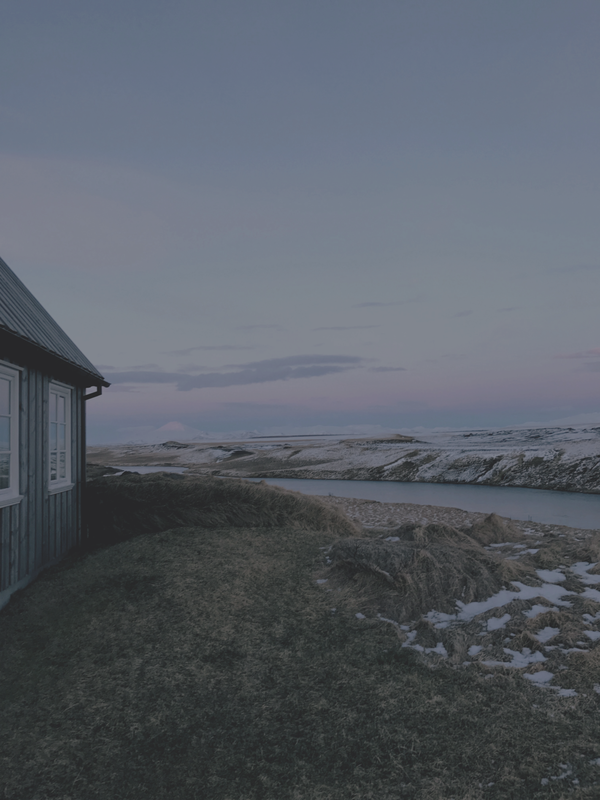 Deplar Farm — A converted sheep farm situated in the remote Fjlot valley in the mountainous Troll Peninsula in northern Iceland, arrive to this exclusive and extremely intimate property by helicopter. It’s truly a special place and is an absolute must if you’re in search for an uber-luxury retreat. Tower Suites — A new private abode with just eight suites, Tower Suites is hands down our favorite hotel in Reykjavik. Though a little outside of the city, it’s totally worth it and you’ll get the most incredible view of the city. Hotel Borg — If your prefer to be in the city, this is the next-best spot to stay in Reykjavik. The Art-Deco property is located within walking distance from all the shops and most restaurants. ION Adventure Hotel — Playing off of Iceland’s most appealing attributes of jaw-dropping natural beauty and endless adventures in the countryside, this property offers easy access to this playground. Hotel Rangá — A more rustic-chic choice in the countryside, Hotel Rangá is centrally located for those who do not wish to go back too far at the end of an adventure-filled day. Private Home — If you’re in Iceland with 4+ people, it’s best to rent a private home. There’s no shortage of high-end, beautiful places, plus you’ll get that extra attention that you would at a five-star hotel, but better! Think private chef, maids for turndown service, and the utmost comfort and privacy like you would at home. In our book, this is the way to go for a more authentic, local experience — all without forgoing an ounce of luxury. When you’re not having a gourmet buffet on top of an ice cap, or having lunch in a hidden Greenhouse with a private chef (cc: Friðheimar), these are the top-tables and culinary musts for your time spent in Reykjavik. Dill Restaurant — A purveyor of New Nordic cuisine (local, seasonal), Dill offers an elevated approach to traditional Icelandic fare. Dinner may be a seven-course affair with wine pairing, while the lunch menu could include a hearty fish stew or meatballs with a twist. Fiskfelagid (Fish Company) — A trip to Reykjavik wouldn’t be complete without sampling some of Iceland’s world class seafood. Set in a historic building that dates back to 1884, The Fish Company is known for its charming atmosphere and seriously innovative food. Grillmarkaðurinn (Grill Market) — A swanky setting smack-dab in the heart of the city, this resto sources ingredients fresh from the farm and so the menu changes according to what is in season. Bæjarins Beztu Pylsur (Hot Dog Stand) — Although it’s not exactly “fine” dining, we’d be remiss not to mention the famous harbourside hotdog stand serving up quick, tasty Icelandic dogs (made with pork, beef, and lamb) since 1937. While Iceland looks like it’s floating at the edge of the Earth, it’s actually more accessible than ever. It’s a short nonstop flight from the East Coast of the United States, and European travelers can even reach its rugged shores by ferry. For a short trip that will allow you to experience many of the incredible things Iceland has to offer, 4-5 nights will do. For more unique experiences and to go even more off-the-beat and path in Iceland, a longer trip is the best way to do it. Only one night is needed in Reykjavik: Depending on which flight you decide to take, either spend the first night or last night of the trip to experience the city and the great restaurants. Limit activities to no more than two per day, as there is a lot of driving between the activities. Although the driving is plentiful, it’s not necessarily a bad thing — even the most hyper-stressed urbanites will get lost in the jaw-dropping scenery and will be able to kick back, relax, and enjoy the ride….